We are Long Point Island Hugger Tours. We are an on-water boating tour business operating in Southern Ontario on Lake Erie. 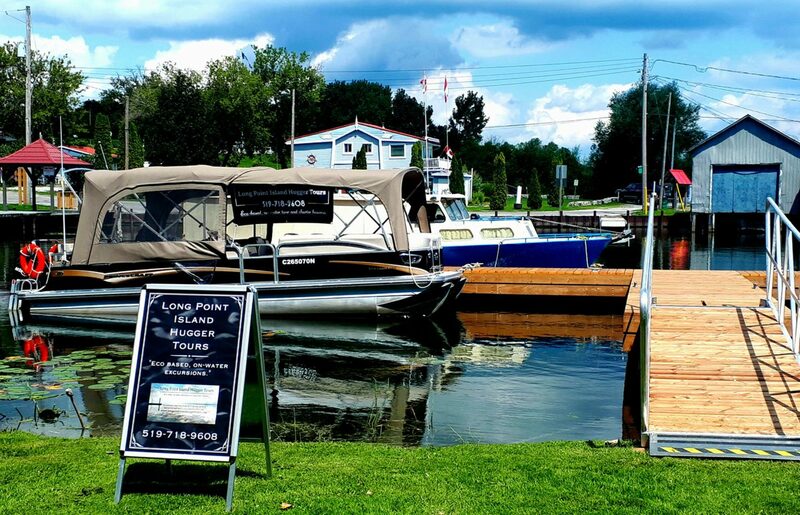 Our website address is: http://www.longpointislandhuggertours.ca or http://www.longpointislandhuggertours.com depending on how you got here. Data Synced: Successful and failed login attempts, which will include the actor’s IP address and user agent. Data Synced: All data and metadata (see above) associated with comments. This includes the status of the comment and, if Akismet is enabled on the site, whether or not it was classified as spam by Akismet. Activity Tracked: A cookie (akm_mobile) is stored for 3.5 days to remember whether or not a visitor of the site wishes to view its mobile version. Data Synced: Failed login attempts, which contain the user’s IP address, attempted username or email address, and user agent information. We use the Jetpack plugin for analytics. Jetpack collects your country of origin and information on the website you used to get to our site (if any) to provide us with information about the people that visit our website. if you wish to know about the information we have retained you can email us at lpiht@outlook.com. As mentioned before, we have a plugin called Jetpack to protect the backend of the website from login attempts so that only those authorized to access this site have access to all the information stored on the website and it’s backend. We use the Jetpack plugin to protect our site from login attempts so that nobody that isn’t associated with the website or company has access to any information stored on the website other than the information that is publicly available on the website itself.